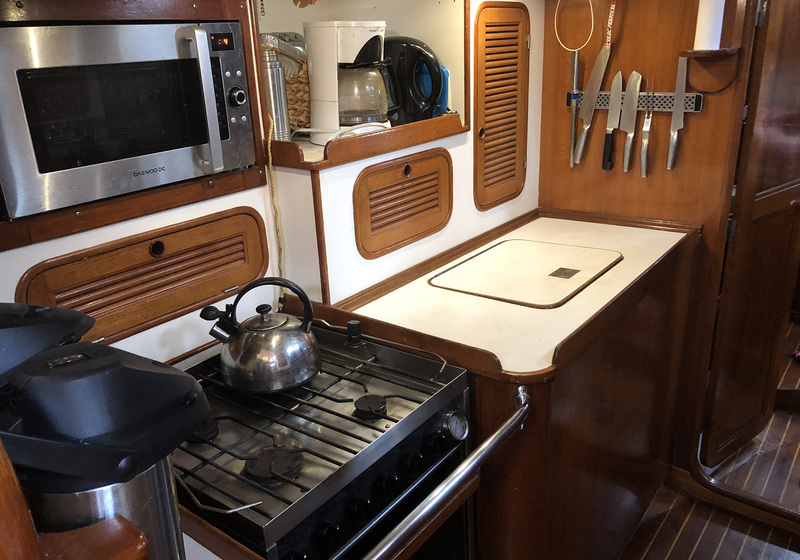 Just arrived on market, Mason 64. 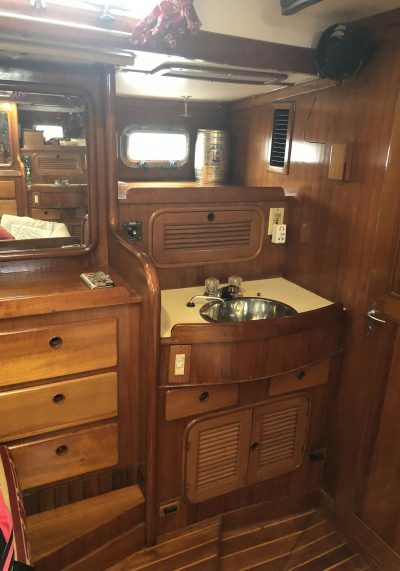 Well maintained and ready for new owner. 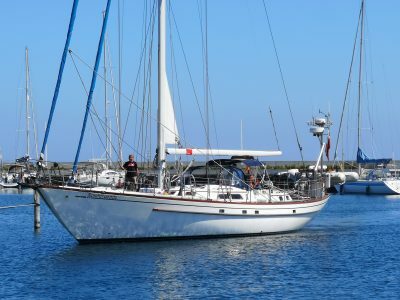 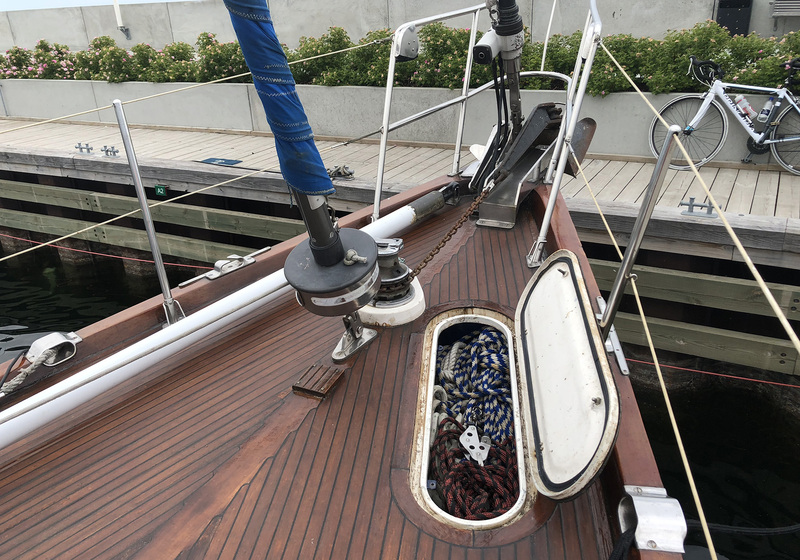 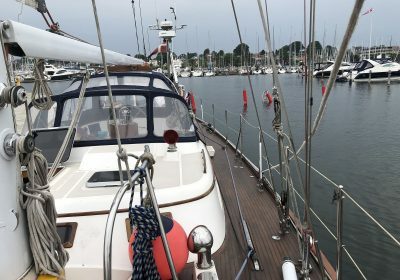 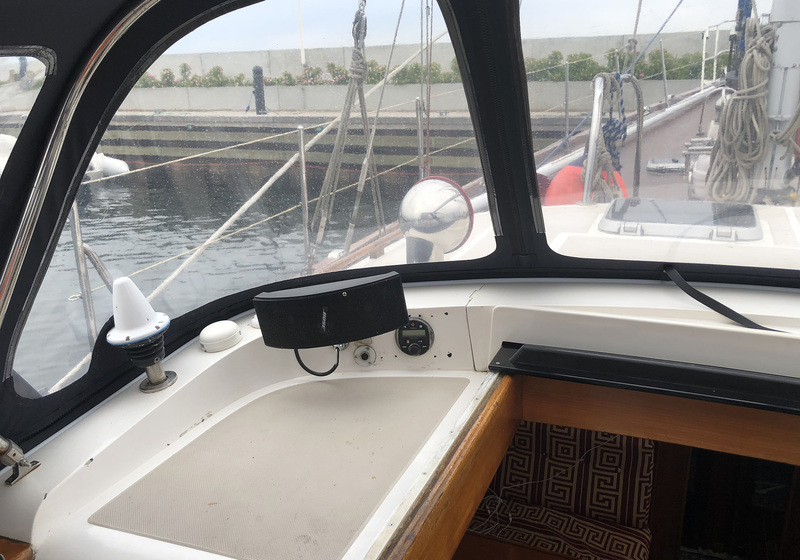 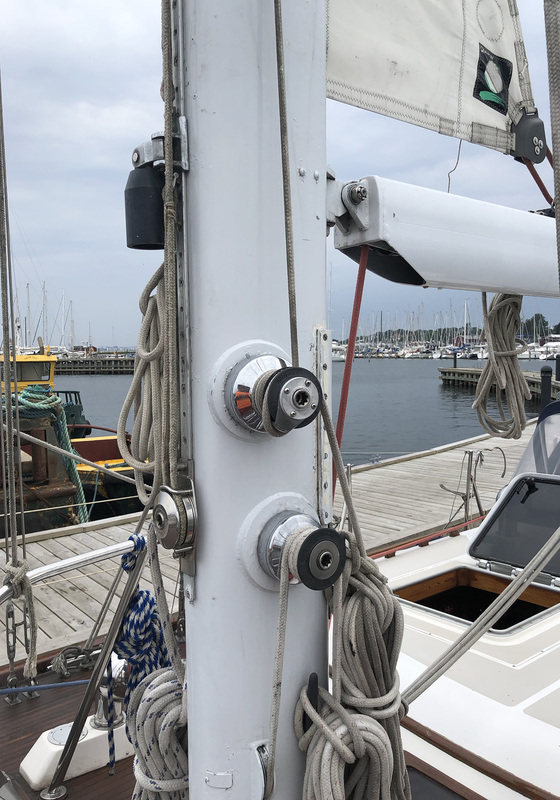 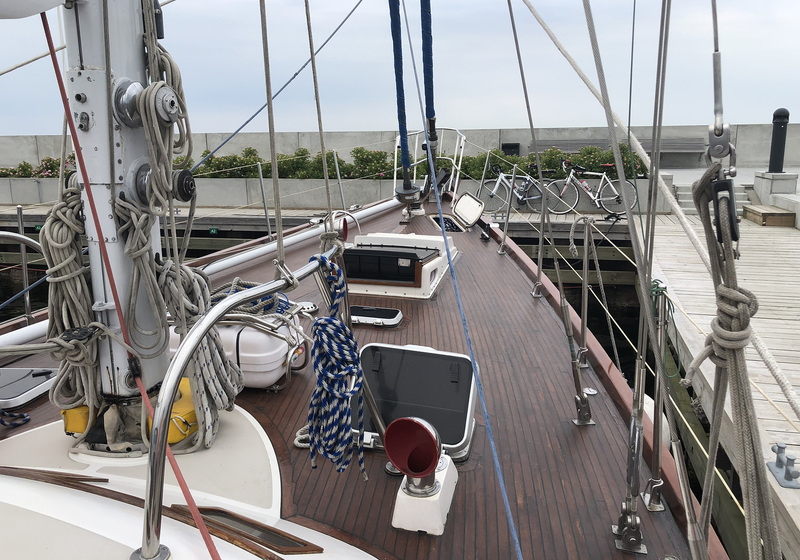 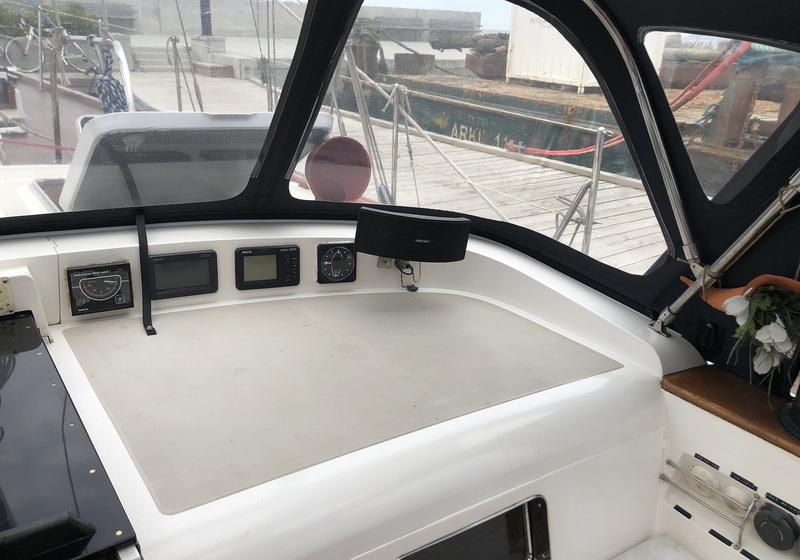 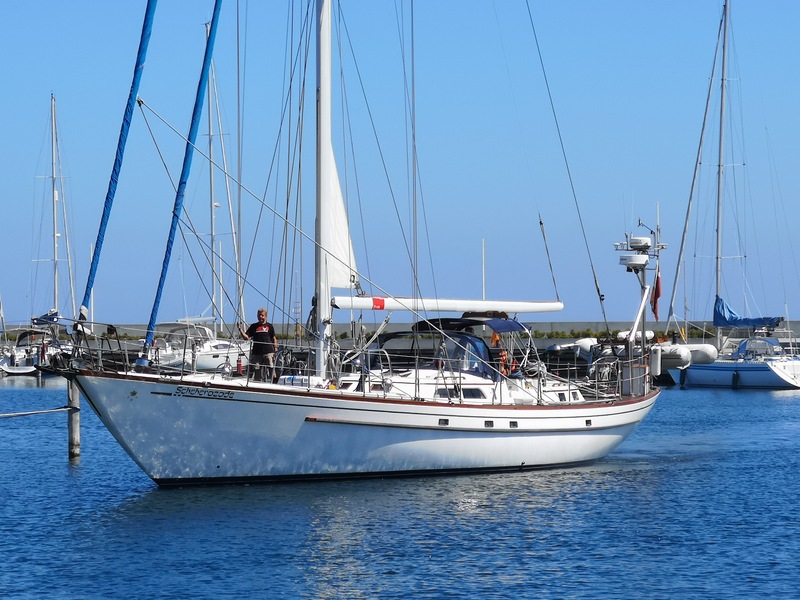 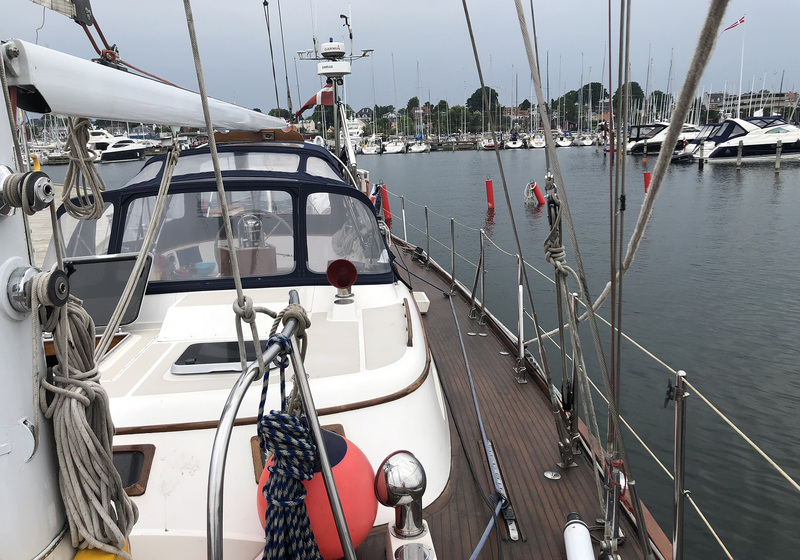 A caring and professional skipper has taken good care of “Scheherazade” Available in Copenhagen for viewings. 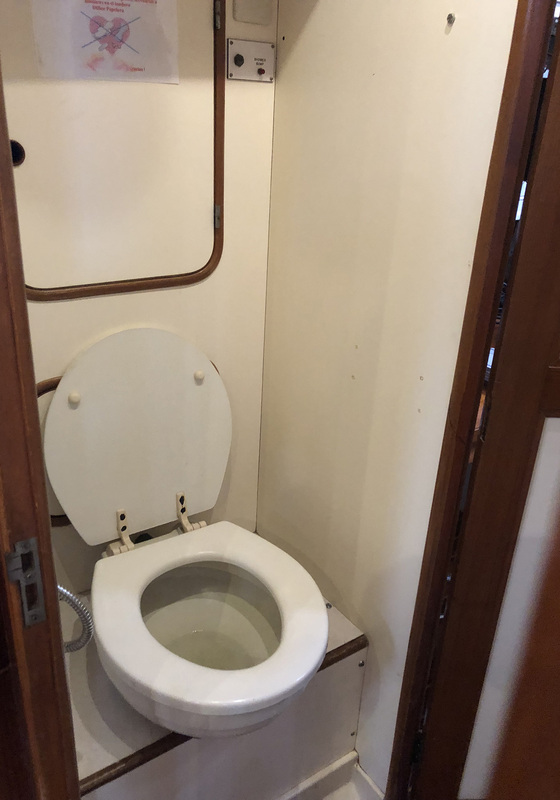 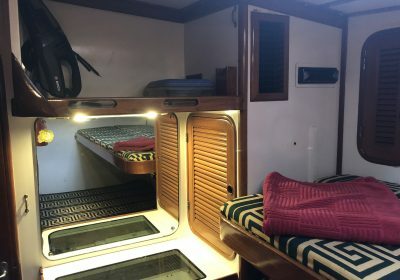 4 Cabin Layout. 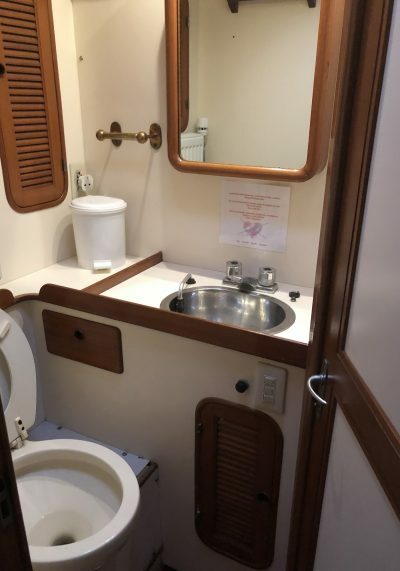 Large Master cabin aft with adjacent head and shower, and Master cabin can cleverly be divided into 2 separate cabins with double beds. 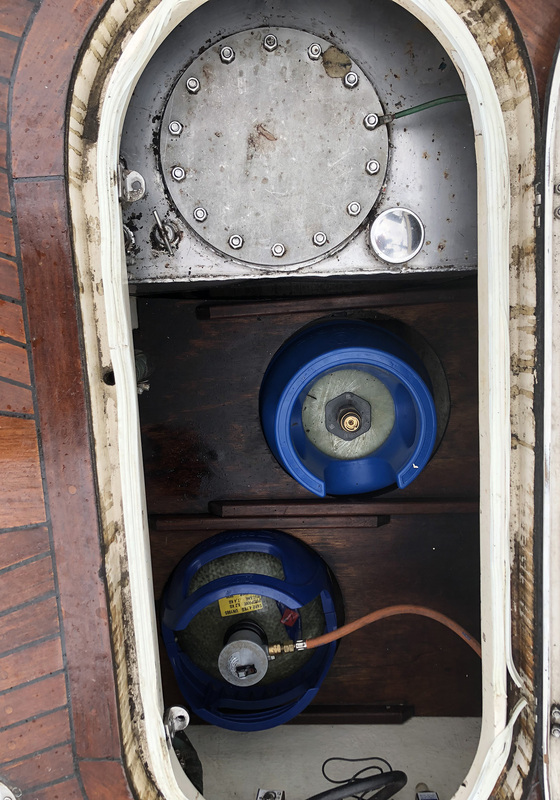 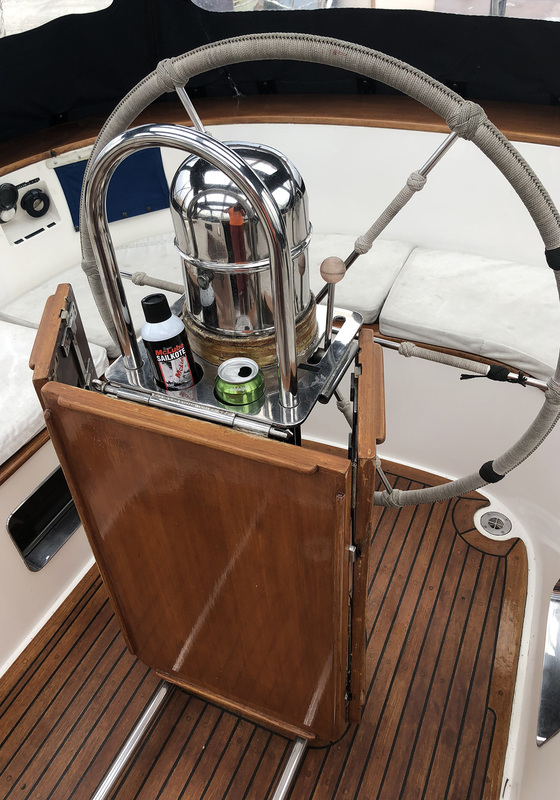 “Scheherazade” is the further development of the Alvin Mason designed 63, where the Mason 64 was designed by Jeff Leishmann. 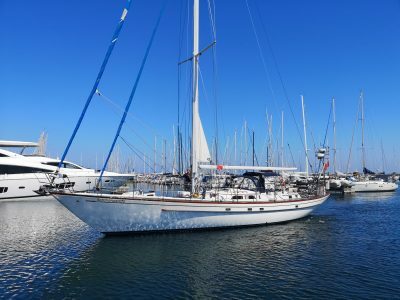 A true oceangoing sailing yacht, fitted and equipped for private or charter use, a very flexible interior design makes this fine yacht a versatile yacht for many purposes and for serious blue water cruising. Large galley and salon area with settees and well as navigators seat position with repair/workbench area. 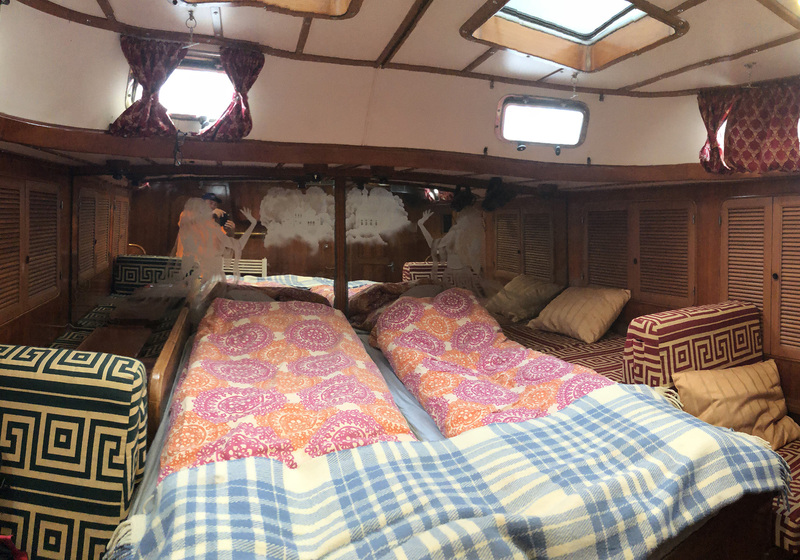 3 Cabins forward. 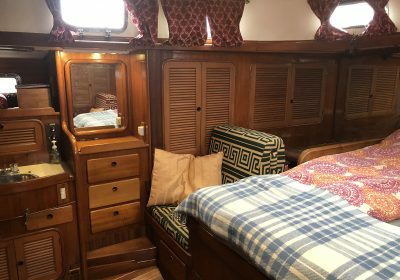 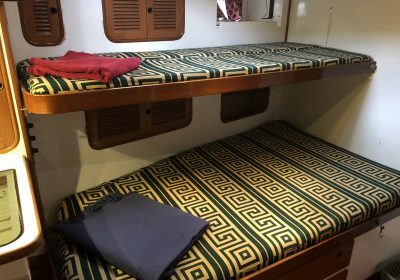 Cabin forward as crew cabin with 2/3 berths, 1 cabin portside with bunkbeds which can be converted to sofa arrangement. 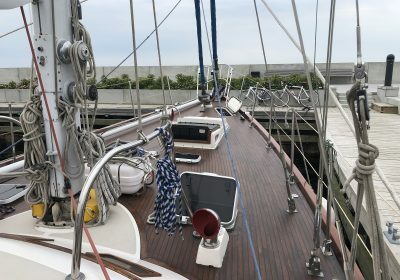 Starboard cabin with 2/3 berts. 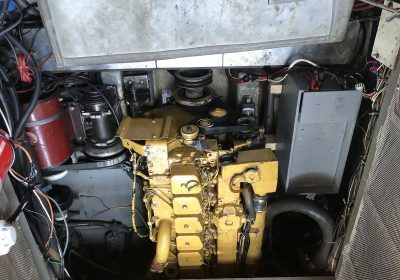 4 heads, central heating, hydraulic furling and winches. 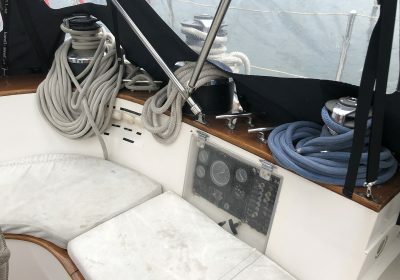 Please click on the Equipment list for more details.